Description: Leupold's QR Contender Quick Release One-Piece Mounting Base is designed to receive their QR-style rings. 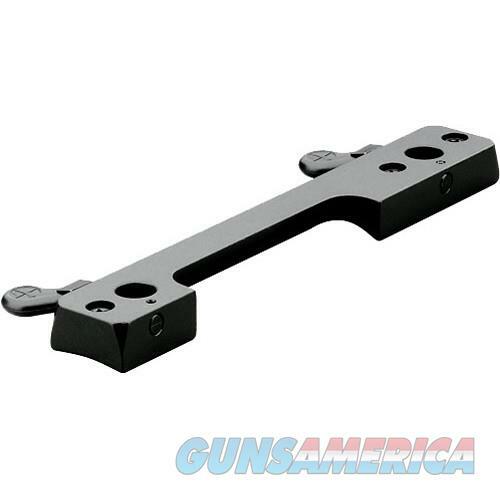 They're machined out of solid steel to ensure a rock-solid mount to your receiver, and a lifetime of use. Leupold's QR system is extremely versatile. The flip levers allow you to remove your scope for cleaning or traveling. When you reinstall your scope, just turn the lever forward to lock the ring back into position. Leupold has carefully engineered this system with super tight tolerances to ensure that your sighting system returns to within 1/2 MOA of your original zero.